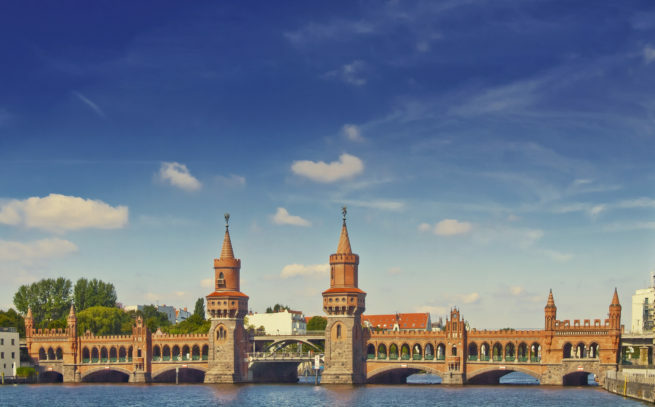 Hire a private jet and fly to Berlin, the capital city of Germany and one of 16 States of the Federal Republic of Germany. Whether you’re chartering a private jet for business the country’s largest city, or to enjoy a leisurely stay in one of Berlin’s six districts, the most convenient and stylish way to arrive is by private jet. Air Charter Advisors offers on-demand private jet charter service to/from Berlin, and with access to thousands of private aircraft around the world, we’re confident we can arrange the right aircraft for your trip, whether you’re flying internationally or domestically. Our private charter brokerage is Wyvern-certified, and every aircraft we use for private flights to/from Berlin are operated by FAR Part 135 (or foreign equivalent) air carriers. We’ve worked with a variety of high-profile clients, including royal family members, heads of state and C-level executives; we’ve also flown celebrities, personal assistants and leisure travelers from around the world. Enjoy the peace of mind you get from working with a jet charter broker you can trust, and Air Charter Advisors will be your local and global aviation solution for luxury air travel, aircraft acquisition and private jet management. If you’re looking for a boutique jet charter service, one where you always talk to the same broker and can always expect the highest levels of service, then we’re the best fit for you. Our air charter team is here to help you with all of your private aviation needs, from booking your private jet and creating its flight itinerary to arranging gourmet in-flight catering, luxury ground transportation or meeting any other requests you may have – consider our Berlin Jet Charter team your private aviation solution in the capital of Germany. Officially established as a city back in 1307, Berlin has developed into a shining metropolis boasting one of the most favorable living environments in the European continent. The nightlife is phenomenal, the people are friendly, and the public transportation is top-notch. After so many years of separation, the town champions open-mindedness and togetherness. This can be seen by the thriving LGBT community calling Berlin home, the casual nightlife that limits face control, and the unpretentious yet attractive fashion sense that pervades the city’s well-dressed. The city didn’t become part of the German Empire until 1871, because it hadn’t been founded yet. After that, Berlin went through several major changes. 1933 brought the rise of Nazi power, which resulted in the eventually decimation of the city and its population. After, things ran smoothly for about thirty years until the Berlin Wall popped up. This divided the city for another thirty years until the wall’s destruction in 1990. Having regained its position as Germany’s capital, Berlin set upon its path to become the city it is today. There are still plenty of remnants of the city’s arduous past, but now it only adds character to an already charming and exciting city. It’s generally accepted that Berlin has, in terms of craziness and variety, the best nightlife in all of Europe (aside from Ibiza). The city’s nightlife has three main facets – clubs, Kneipens (casual bars), and upscale hotel bars. The flagship entertainment venue in the city is the club, many of which do not fit the traditional label of clubs in metropolitan areas. The most popular ones are often located in old industrial buildings with very little in the way of architectural ingenuity. However, once you pass through the doors, it’s a completely different scene. This city is notorious for getting a late start on the evening’s festivities. Revelers walk out of their doors, after long pregame parties, at about midnight. Arriving at the club around 1am is common, and that’s when the mood goes from jovial to exciting, pulsating. Throngs of people occupy the jampacked dance floor as the night begins. The opening acts come on and people start to get in the mood. It should be noted: Berliners love to dance, so if you want to hit a club in the area, you should be prepared. People in these clubs are known to dance straight through entire 2-hour sets, and that’s why Germany’s capital is considered the new mecca of EDM, or electronic dance music. It’s also why it’s is a great destination for your next luxury private flight. Aside from the world-class club scene, Berlin offers more bars per street than just about anywhere else in the world, making pub crawling a borderline sport in the area, or at least a favorite pastime. These casual bars, called Kneipens by the locals, are the mainstay form of entertainment if you prefer a more relaxed vibe. Very “come as you are” in nature, these bars offer a different type of fun – a fun that lets you hear the person talking next to you and doesn’t blind with flashing lights. Along with the awesome pub scene, cocktail bars are a force to reckoned with in Berlin. Some of the local cocktail joints boldly claim they make the best drinks in Europe, and you’d be hard-pressed to find someone to argue otherwise. However, these bars can be a bit difficult to find – or at least a bit tricky to enter. Whether it’s poor layout or a desire to remain exclusive, bars like Victoria Bar and Green Door manage to stay busy despite their unassuming entrances. Also, the jazz scene is worth mentioning. Critically acclaimed jazz musicians congregate in the area and play at the various jazz clubs that range in size. From concert halls to little cubby holes with just enough room for the band and a few patrons, the venues are all over the spectrum. If that’s something you’re interested in, then Berlin Jet Charter can arrange your luxury private flight to the area. Spending this much time talking about Berlin after dark, we might give the impression that nothing goes on in the area during the day. Let’s put that to rest right now, because Berlin is an amazing destination regardless of what time you leave the hotel. A lot of the city’s charm comes from its food, while a lot of the fun comes from its shopping opportunities. We’ll talk about them together because, well, shopping is hungry work. 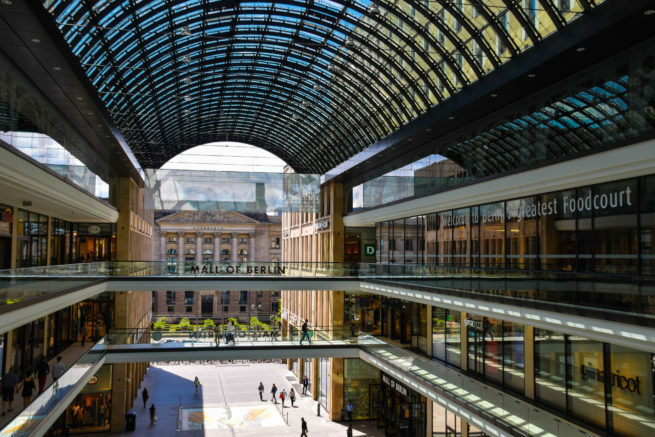 Shopping in Berlin is a serious activity, and you’ll definitely want to plan ahead for your route. There’s a lot to see, and you won’t want to miss any of it. The city is famous for its contemporary fashion designs, and the local designers have been making waves in the industry for several years now. As if the area weren’t already a veritable fashion destination, it hosts a slew of events throughout the year that attract fashionistas from all over the planet. Events like Berlin Fashion Week takes places every two years, and transforms the city into a fashion capital rivaling the likes of Milan and Paris. The locals aren’t going to be wearing just your typical designer names, either. They’re getting creative and incorporating a lot of the vintage culture that is so popular in the U.S. currently. You see Hermes handbags matched with Louis Vuitton shoes, of course. But you’ll also see knickknacks worn as accessories at the same time that look like they were picked up at a thrift shop – and they probably were. Either way, if you haven’t already been to the city for a shopping trip, now is the time. We can arrange your private flight with as little as six hours’ notice, and then you don’t have to worry about buying too much; private jets have plenty of storage space. The city’s cuisine is a mix of traditional and new, much like the other European capitals. However, the new is overtaking the old in Berlin – which can be a good thing. But it also makes it a wee bit difficult to find the old stuff. If you want some traditional Rouladen (stuffed beef) or Berliner Leber, you’re going to have to hunt a bit for it. When you do find it though, it’s just as good as it was twenty years ago. As for the new stuff, you’re going to see a lot of variety. Some of the city’s largest demographics have brought in their regional and national dishes. They mix these with the typically meat-heavy (lots of sausages) local food, and it makes for an awesome combination. This “Neue Deutsche Küche” incorporates ideas from three cuisines specifically – Turkish, Italian, and Asian. If that sounds awesome to you, then we have something in common. 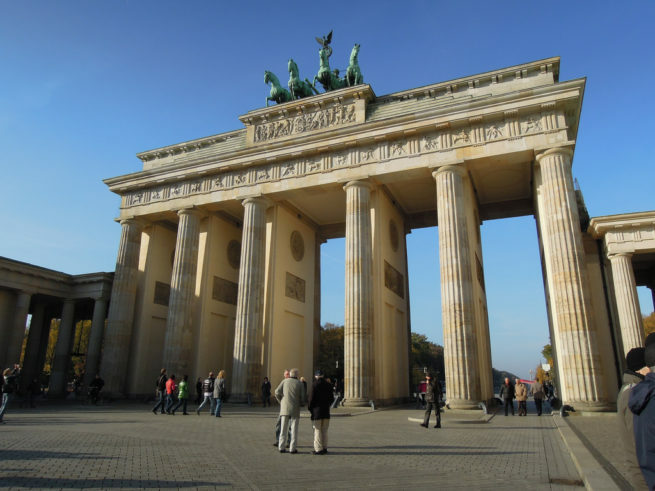 A large majority of our clients fly private to Berlin for business. This is because the city is arguably the design hub of Germany. So, as the mainstay for design in one of Europe’s most successful economies, it’s no stranger to private flights. Right now, a few industries are booming while a few others sit back and watch. Of these, the most successful are the current “cutting edge” industries. Design, science, information and communications technologies: they’re all booming in Berlin right now. If you’re flying to Berlin for business, then you need to make sure you’re at your best when you get there. You simply can’t do that when flying commercial, which is why a private flight is often a decision made in utility and necessity, rather than just luxury. You get to skip all the hassles of commercial travel. Arduous customs procedures, crying children, long lines and security check, and limited comfort throughout the flight; these things don’t set the framework for a good state of mind. Private jets, however, are much different. Sit quietly with your colleagues and work on your presentation while enjoying in-flight Wi-Fi. Kick back in the plush jet furniture, and enjoy personalized service by your jet charter cabin crew. If you want to discuss the benefits of flying private to berlin on a light jet, midsize jet, or heavy jet, give us a call. We’d love to help you book your luxury private flight to Berlin. 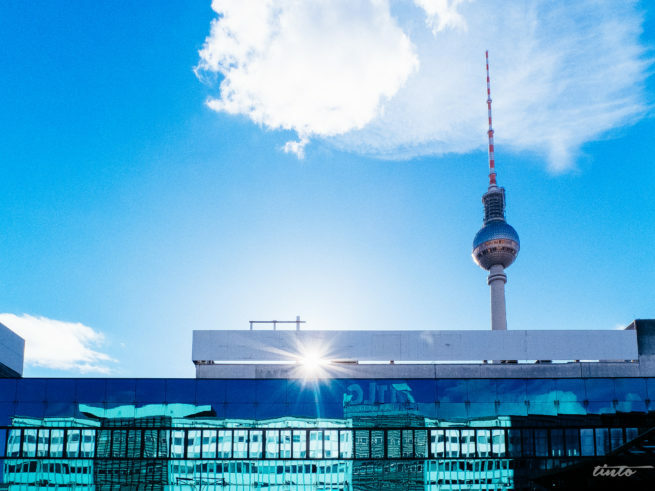 The hotels in and around Berlin are gaining recognition world-wide for their new and innovative ideas. They’re pushing the standard amenities to the edge, improving them, and expanding on them. There is a huge focus on design, and our jet charter clients frequently comment on this aspect. Hotels are hiring brand name artists to design rooms in ways that haven’t been seen before, and it only compliments the city’s already quirky and charming atmosphere. There are also a ton of options as far as lodging type. You’ll have no problem finding the regular contemporary hotels throughout the business district, but you’ll also want to consider some of the city’s quirkier options. Arte Luise Kunsthotel offers specially designed rooms that provide a different experience with every visit. Stay in ship cabins or camp indoors at Eastern Comfort and Hüttenpalast. There’s no end to the types of lodging options. Regardless of where you stay, you’re going to have a good time. Business or pleasure won’t matter, because there’s so much to do at the end of the work day. However, your hotel choice will impact what’s convenient to visit and what isn’t. So, if you’re still not sure exactly where you want to stay, keep on reading. Our local jet charter brokers have compiled a list of the best places to stay in the area. Based on jet charter client feedback and online reviews, the list is a great place to start your search. Read on to check our list of the best places to stay after a luxury private flight to Germany. Air Charter Advisors utilizes the following airports to fly clients privately to/from Berlin, Germany and neighboring areas of Europe. Fly private to Germany in a turbo prop, light jet, mid-size jet, heavy jet or a long range jet. Currently acting as the city’s main airport, Tegel boasts three terminals and the Berlin Aviation Service GmbH as its handling partner. They offer fully equipped crew and passenger lounges. They’re also conveniently located at just 8km from the Berlin city center. Opened way back in 1934, Schönefeld Airport originally acted as support for the Henschel Aircraft Plant. After the fall of the Berlin Wall, the presiding government thought that the unified city would benefit from one single airport, rather than two. They decided to expand Schönefeld Airport and rename it Bradenburg Airport. Construction is set to finish in 2017. The airport is serviced by BAS Executive Berlin, Signature Flight Support, and the Berlin General Aviation Terminal. Currently under construction, Bradenburg Airport was set to replace both Tegel and Schönefeld as the flagship airport of the city. However, poor planning has pushed back the finish date by several years. The airport is currently set to start operation in 2017. It will also only be replacing Tegel, as Schönefeld is under expansion. Request a Quote or give us a call at 1-888-987-5387 to speak with one of our Berlin Private Jet Charter agents for your next luxury vacation, business trip, or special event.